"Success without democracy is improbable, democracy without women is impossible." 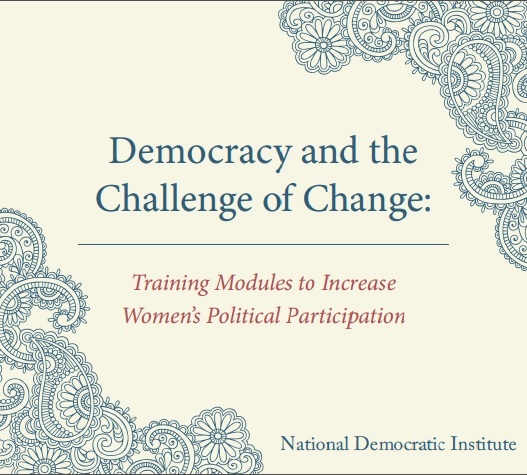 These new training materials take best practices and approaches from NDI's work around the world and make them into a set of tools to increase the quality of training programs for women as voters, advocates, elections officials, political party members, candidates and office holders. The training materials build on the 2011 guide, Democracy and the Challenge of Change: A Guide to Increasing Women's Political Participation, a resource for democracy practitioners to help them develop and carry out effective programs to bring more women in government and politics.